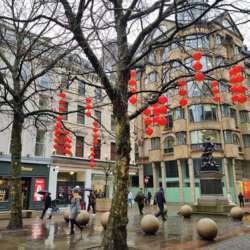 This is part II of the Chinese New Year celebrations crawl! Some of us will be practising the Chinese martial art Tai Chi that morning, so we will be joining the rest of you at the Central Library at 14:30pm for the Tea Ceremony. If you fancy getting to the celebrations before 14:00pm, please do so, alone or with other members, but text me so that we can join you once we have finished our session. Disclaimer: The Confucius Institute are in charge of organising and will assume responsibility for these activities. The events are free. Bring your adventurous mood and your creative self and join us for some art and lots of drinks afterwards!